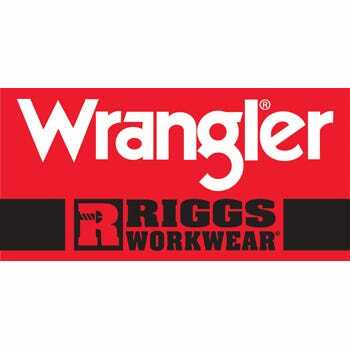 Having the right workwear is as important as having the right tools to do the job, and when you're wearing this Wrangler Riggs Men's Ash Heather 3W700 AH Short Sleeve Pocket Tee Shirt, you know you've got it right. From start to finish, this versatile tee delive ... (see full details) (see specifications) #WRG3W700AH. Having the right workwear is as important as having the right tools to do the job, and when you're wearing this Wrangler Riggs Men's Ash Heather 3W700 AH Short Sleeve Pocket Tee Shirt, you know you've got it right. From start to finish, this versatile tee delivers durability, style, and comfort. It's manufactured in a 7-ounce blend of 90% cotton and 10% polyester in a smooth jersey weave. Cool, natural, breathable cotton feels great against your skin, and polyester adds lightweight durability. This easy-to-wear combo is perfect for long, hard days as well as kickback casual wear. The comfort and sturdy wear don't stop with the fabric. The side seams are vented and taped, and the neck seams are taped, so this men's top delivers breathable comfort plus longlasting durability through lots of tough wear. For added comfort, the label is tagless so no more annoying discomfort at the neckline. A left chest pocket and hidden utility loop add convenience. It's built for work, too, with a comfortable relaxed fit that works with you instead of fighting you at every move. Count on plenty of moving room when you're wearing this versatile men's tee. Offered here in Ash Heather, a light neutral color with subtle shading, this shirt goes with everything. Toss it on alone or layer it under other tops, tuck it in or leave it out. No matter how you wear it, this shirt looks great. Time to toss out those beat up tee shirts and upgrade to this Wrangler Riggs Men's Ash Heather 3W700 AH Short Sleeve Pocket Tee Shirt offered in multiple colors for variety all week long. Stock up today at Working Person's Store! 128 out of 129 people found this product review helpful. I have a lot of both Wrangler and Carhartt brand Tee shirts, and I like the Wrangler shirts equally as well as the Carhartt. I have this Ash Heather color Wrangler Tee and have been totally satisfied with it, and it still looks great after many washings. These Wrangler Tee shirts are a heavier grade material than most other Brands, so they feel very Nice when you wear them. I will be buying more, and I recommend to others who want a good quality Tee for a good price!! 94 out of 95 people found this product review helpful. Have finally found a pocket tee that holds its' shape, fits well from the get go and for the price is well worth it. The quality control in making this is quite a welcome. Wrangler Riggs Shirts: Men's Ash Heather 3W700 AH Short Sleeve Pocket Tee Shirt is being added to your cart.